Coaster Night Stand Tia CO202082. 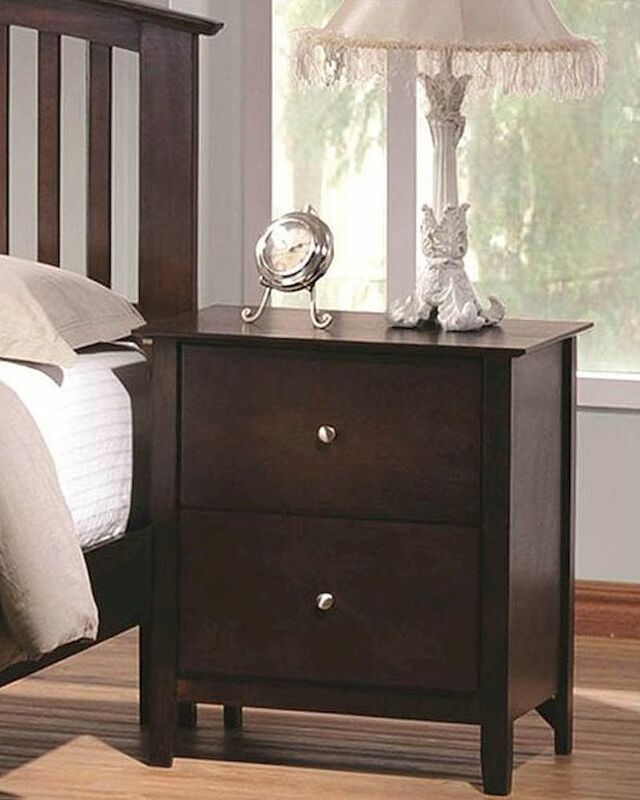 The Tia night stand in casual traditional style brings warmth and comfort into your bedroom. Brushed nickel finished metal hardware generates a modern look to each case piece. This collection features clean lines with gentle curves and tapered feet. Each piece is crafted from select hardwoods and veneers and finished in a warm cappuccino. 1 x Night Stand CO202082. Night Stand – 23.75"W x 17.5"D x 26.5"H.
Crafted from select hardwood and veneers. Brushed nickel finished metal hardware.